to check out our pet bunny Bugsy . 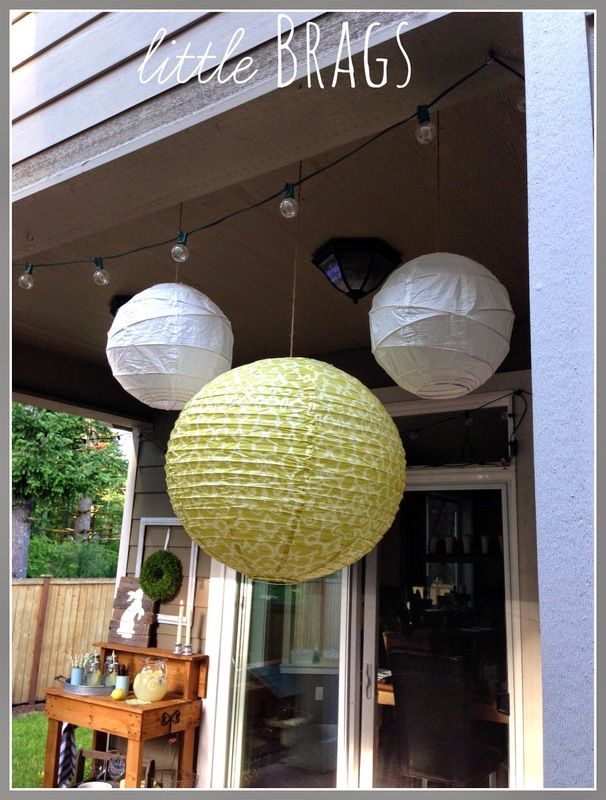 they add some more fun to the patio! This is such a neat idea! Everything is arranged so cute. I love that old wooden tray! A darling idea! Love the porch. The hanging paper lanterns make it look so festive. Let's have a party! Looks awesome. Love all your little touches - and Bugsy is the cutest thing!!!! What an awesome idea! Everyone needs a place for beverages-right? 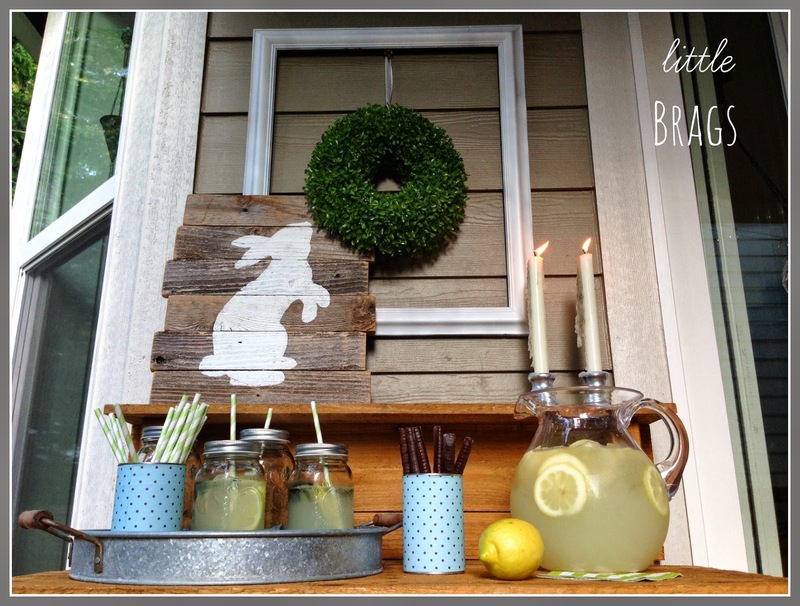 Love the bunny art-and are those mason jars I spy- filled with lemonade? If so, you're a girl after my own heart!!! Love your new blog design!! 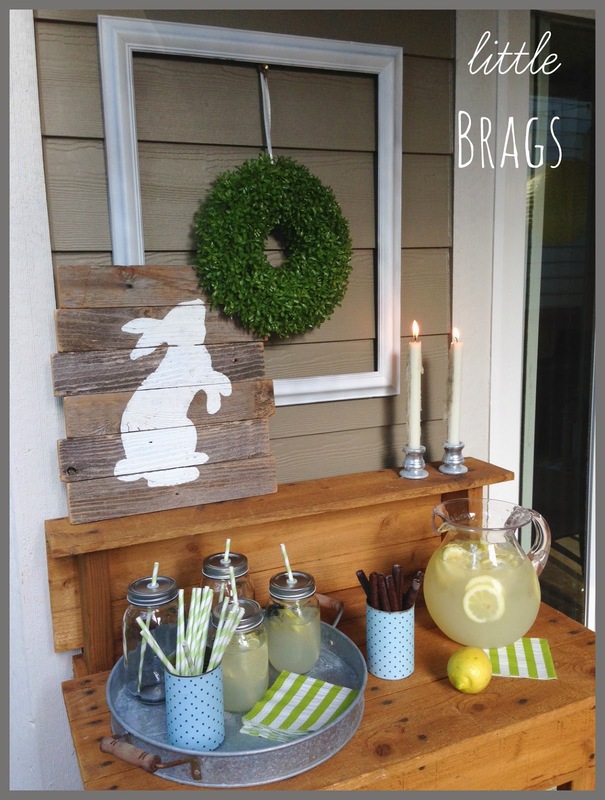 Your beverage station looks great - love the bunny art and all of the festive touches!! Your new blog design looks wonderful! I'm pretty sure she's who did my social media icons on my blog. I can't even remember! LOL! 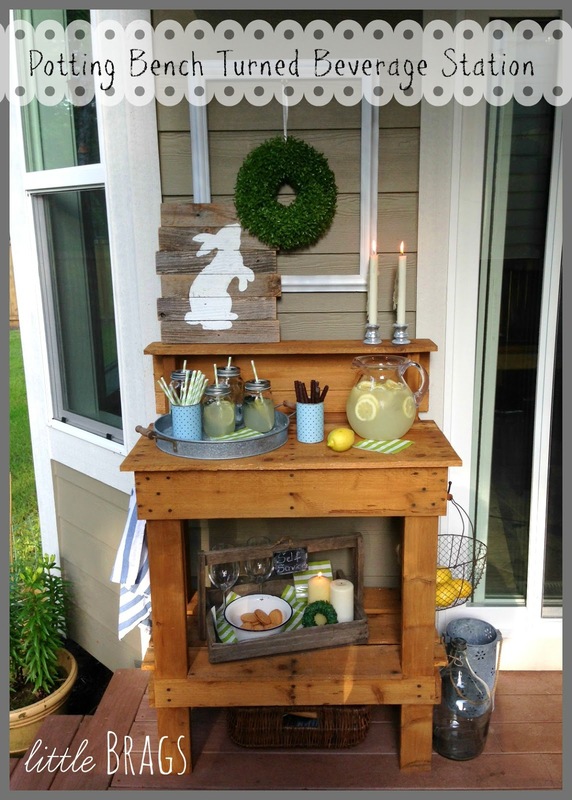 I love your outdoor beverage station. It looks so pretty the way you set everything up. I've been drinking lemondade a lot this summer too. It's so good! What a great idea, I might have to use that! Love your style. Your patio looks so inviting and I see the wine glasses on the bottom that are ready to be filled too :-) Thanks for sharing on Merry Monday. Looks great. Your outdoors must be party central!! Christine - that beverage station is to die for!! 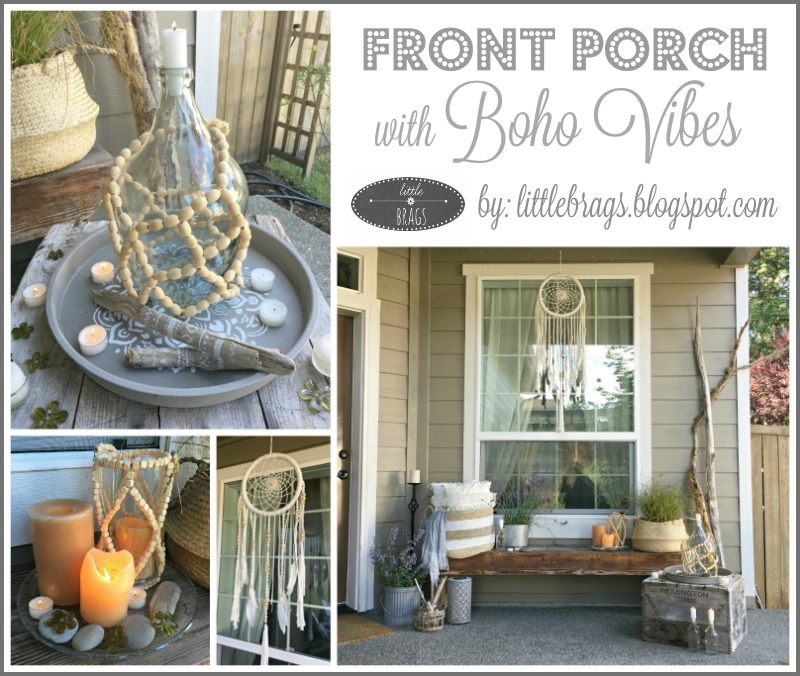 Your porch is lovely...thanks for sharing! What a beautiful space!!! 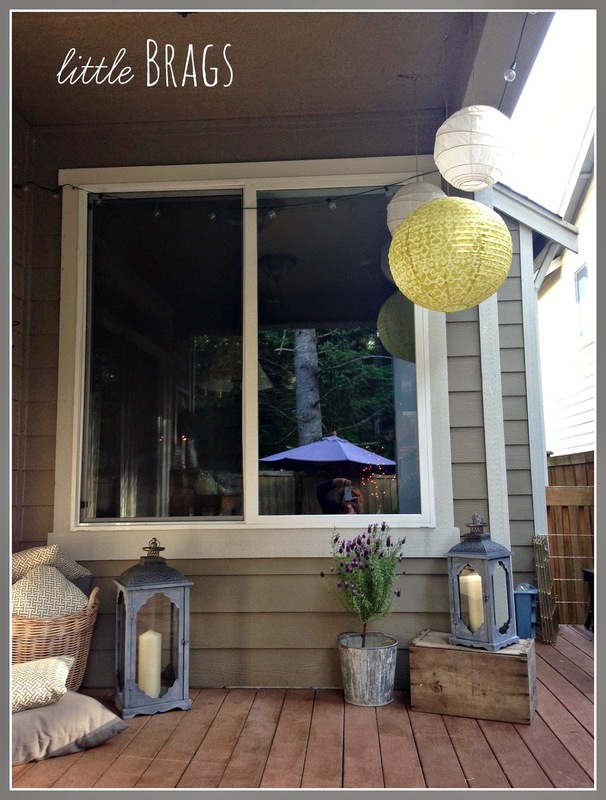 Pinning for inspiration when we start on our backyard renovations! Wow, I love your serving station, it has everything you would need! And your blog looks great too! A very clever idea -- great way to reuse a piece in a new way. 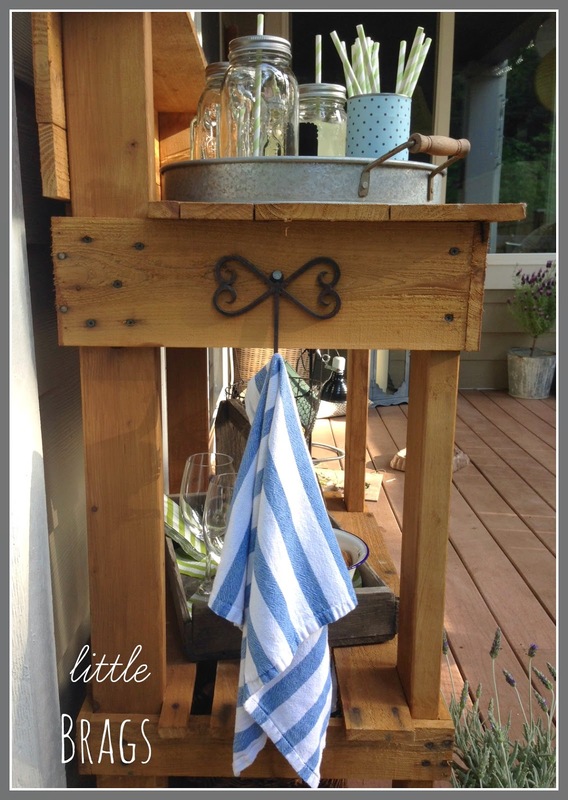 Love your beverage serving station! What a great idea with summer coming!! 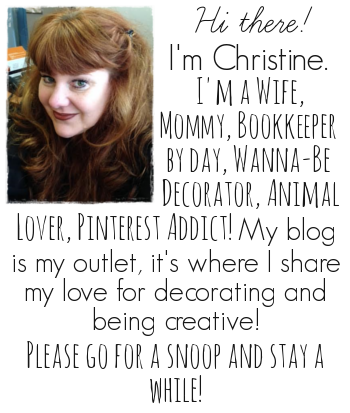 I’d love for you to share this at my Motivational Monday Link Party that I just started today! Feel free to share other old or new posts that fit the theme as well if you have them! Looks great! 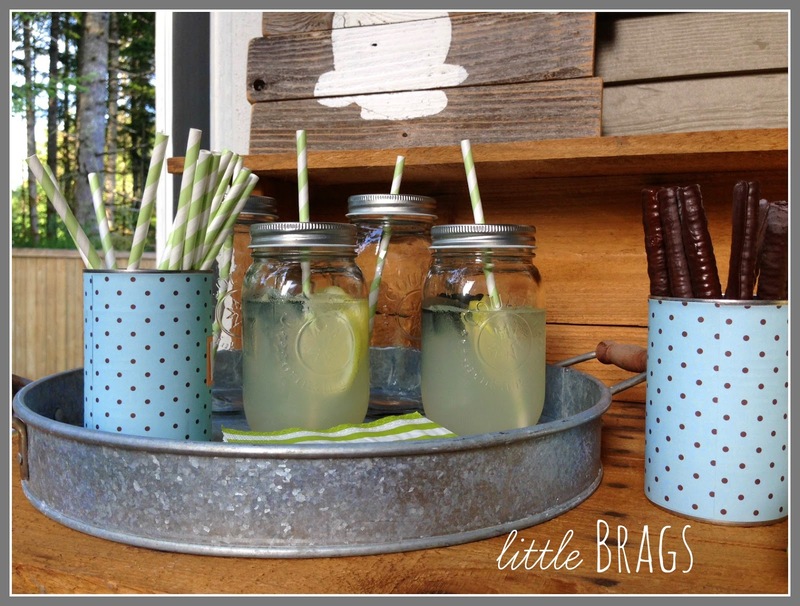 I am SO ready for some outdoor entertaining!! Fantastic! 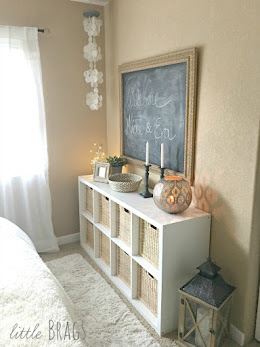 I have a shelving unit that I think I could do this with! I love your style. Oh heavens, I loved everything I saw in your photos. 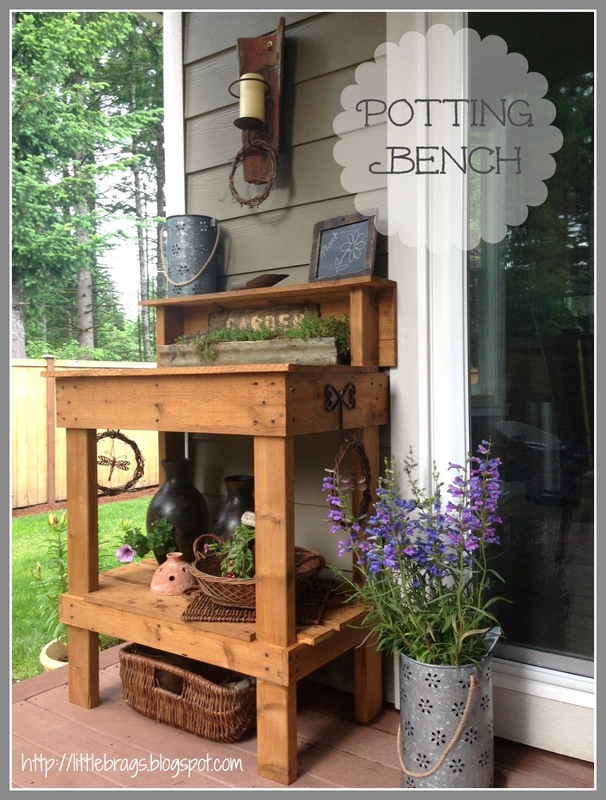 Love your potting bench/serving station, perfect and multi-usable. 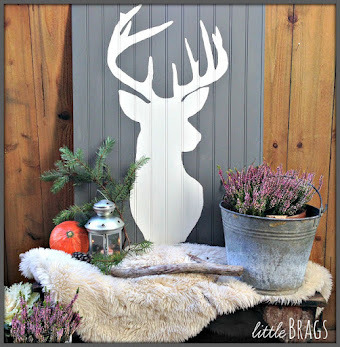 Need to get hubs to make one for our back deck like that. We use lots of pallet wood. Your porch is awesome with so much goodness on it. Hope you/yours enjoy that porch alot. Great place for summer relaxing. When I saw all the great stuff in your photos had to subscribe. Love it all. 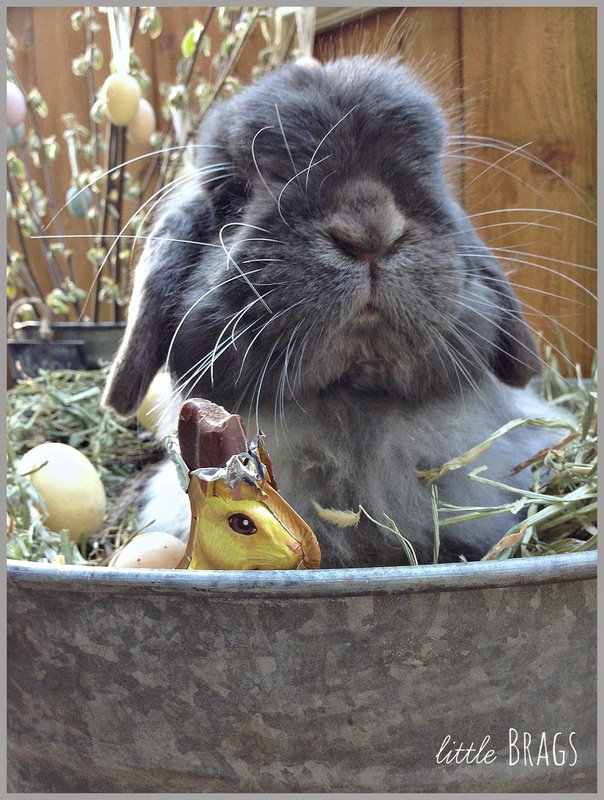 But your bunny is star of the post. And Bugsy what kind of rabbit is he? Does he like to be held and loved on? do you let him in your house? He is so adorable, my first thought was hugging him to my chest. Wonder how our dog and cat would feel about a bunny in the house? They put up with each other pretty well when we brought our dog home, we'd had the cat for few years. Cat was used to our other dog, a miniature black cocker spaniel. Cat is pretty mild with other animals. We've moved him around in our moves and he seems to take it all in stride. We even lived at an rv park for 10 months, he stayed around our spot or went across lane to visit neighbors cats. When we moved to a house he stayed in fenced yards. Now we have a 1/2 acre out in country where he seems to stay right around our place, thank heavens, or I'd worry about him getting run over or hurt. He showed up at our house in KY one day and didn't seem inclined to leave, he was a barn cat from farm land next to us. He's an orange striped cat which are my favorite kitties. It's a super idea! And you've dressed it beautifully! 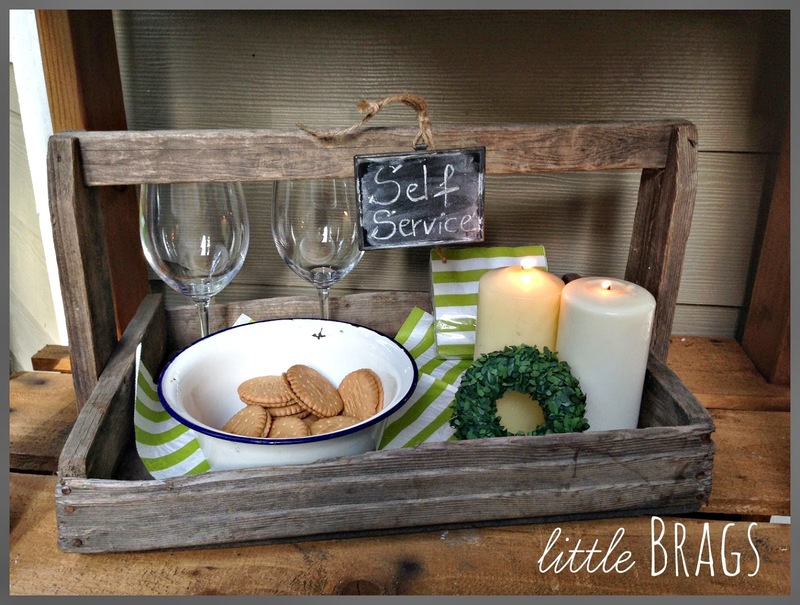 What a great serving station! Very nice. Simple and useful. Now I'm in love with the back of your house too!! You thought of everything! I love your serving station! OK, I'm now inspired to do something similar. I love the wreath inside the frame, too. Blessings! Your cart is so cute, what wonderful goodness you ave shared!!! have just pinned your post to our Weekend Party Board!! Very cute - everything looks great and very inspiring. I really like your new blog design and I'm glad working with her worked out for you. I, too, was pleased with her design. Wow, how cool is this?! 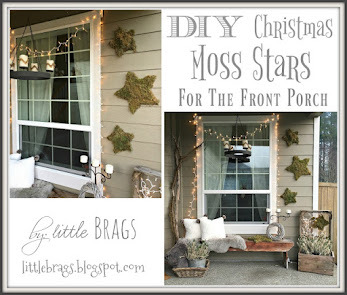 You always do such a great job decorating your porch Christine and I love your new blog design! 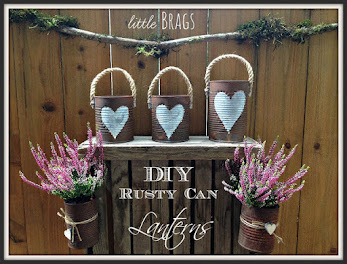 I am dying for that galvanized tray. I have promised myself I'm going to get a big serving tray for outdoors this year. That woud be perfect! Thank you for sharing at What We Accomplished Wednesdays. Have a great weekend! So cute! We are featuring your awesome project today at Your Designs This Time! Thanks for sharing! I love this! So cute. 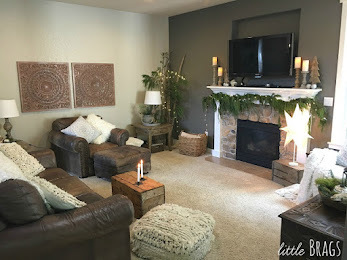 Thanks for linking up to the Be.YOU.Tiful link party! 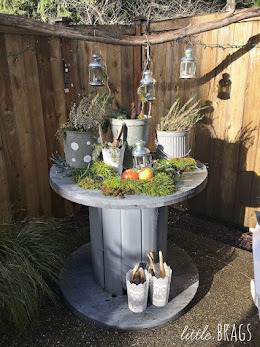 Christine, you are going to have so much fun with this outdoor station! Of course it had to have a bunny. 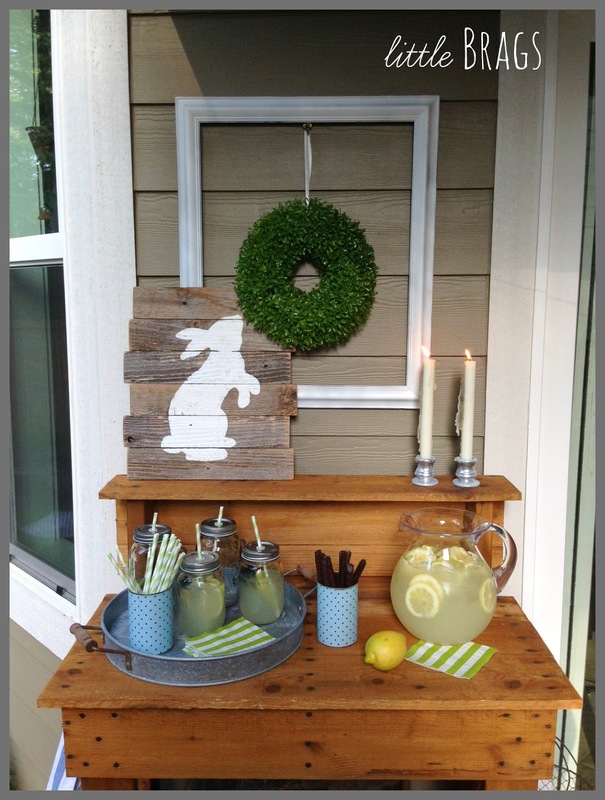 I pinned a pallet bunny similar to that but have never gotten around to making one. Thanks for sharing with SYC. 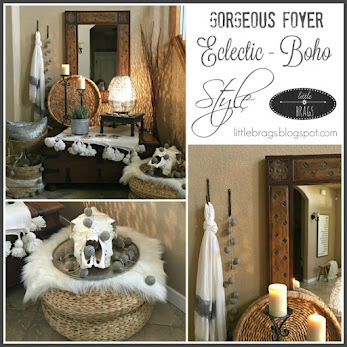 I love the serving station and the rest of your decorating is just awesome! Thanks for sharing on the Four Seasons party last week. We loved it so much it is being featured on this week's party! 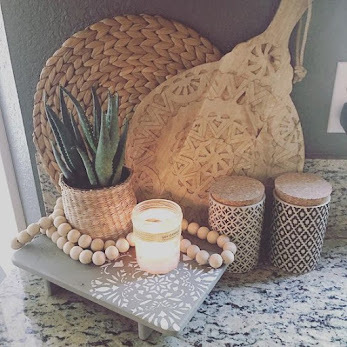 Love everything about your little station! Now I need to make one for our porch. Thanx for partying! 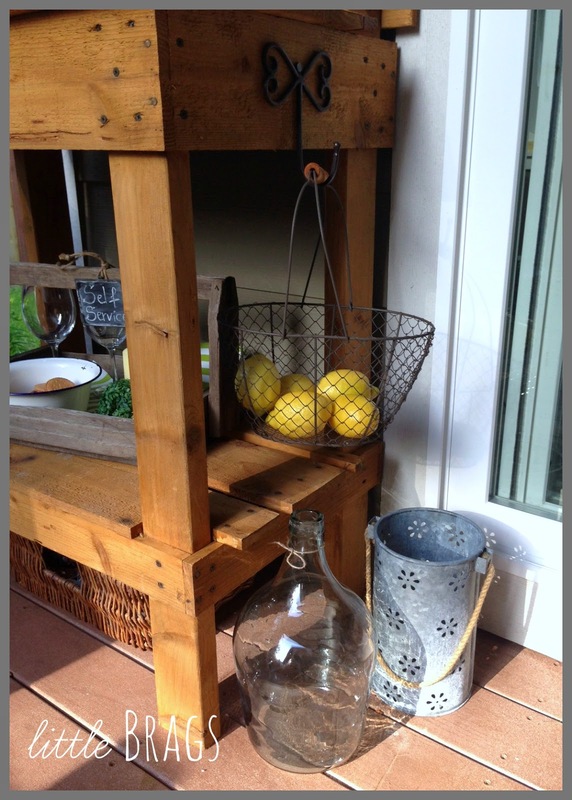 Loving your new blog design, and your outdoor serving station is just perfect! So cute! My kids would love this. We are redoing the back deck and screening it in soon. Love your little collection of goodies. I would love for you to share it at the Home Sweet Garden Party! 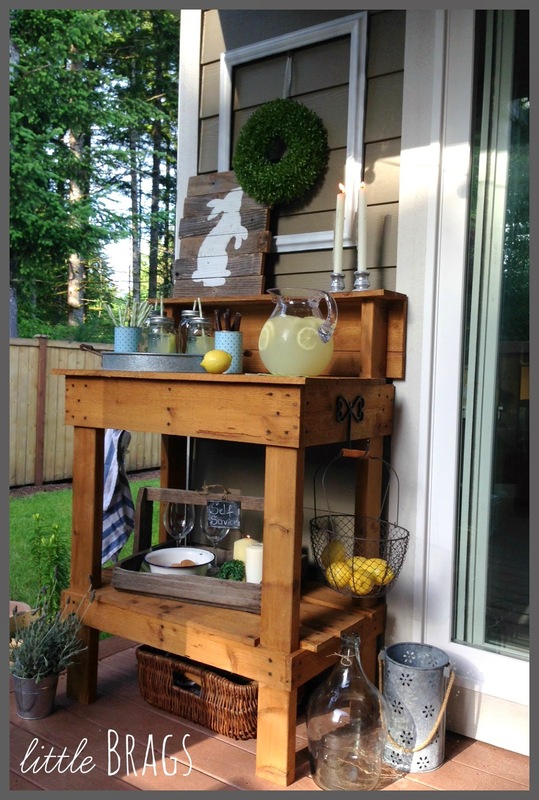 What a perfect beverage station for your lovely porch, I love that it will be just as functional as it is pretty!! 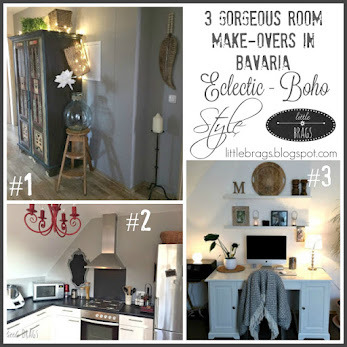 Your styling and photos are top-notch, too! Thanks for sharing at Best of the Nest! It looks awesome! And great photos as well!